Design Studio (Corporate) – After Effects Templates Adobe After Effects template aimed at design studios, freelance content creators, comunication agencies, etc. Inside the template you’ll find a complete package including a logo intro, team presentation, teammates introduction, 5 slideshows with 25 photo or video placeholders, about screen and outro. 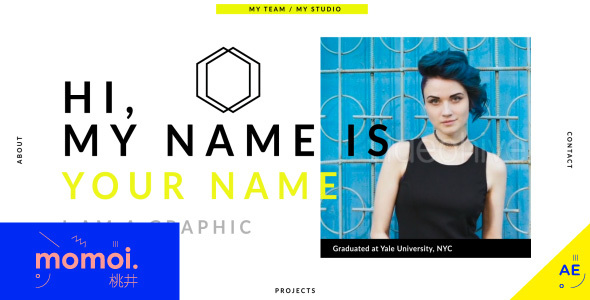 Showcase your portfolio, share your work process and promote your creative studio with this clean and stylish After Effects template.